We are thrilled to have Cooking Demonstrations with Chef Kevin Des Chenes again at this year’s 16th Annual Hudson Valley Wine & Food Fest. Executive Chef Kevin Des Chenes has more than 20 years of experience in the Hospitality industry under his belt. 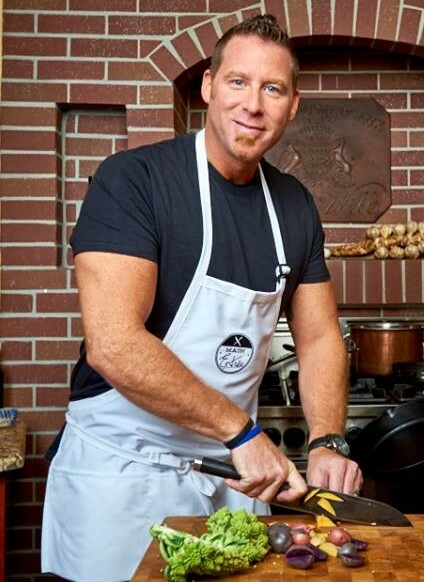 He is the 2015 winner of “Top Celebrity Chef Showdown,” has been a Chef Expert for Gordon Ramsey, and even appeared as a Featured Chef on Food Network’s Chef Wanted & Beat Bobby Flay. Some of his other television appearances include the Nationally Syndicated Better Show, CT Style, Better CT, Fox Morning Show & The Rhode Show. Let your taste buds take an Epic Journey with seasoned Chef Kev Des Chenes at the Hudson Valley Wine & Food Fest. Access to all cooking demos is included in festival admission. In addition to being a demo chef at one of the Best Wine and Food Festivals 2017 has to offer, Chef Kevin Des Chenes will be around to sign copies of his new book, Beyond My Chef Coat: Cuisine & Cocktails with Chef Kev D.